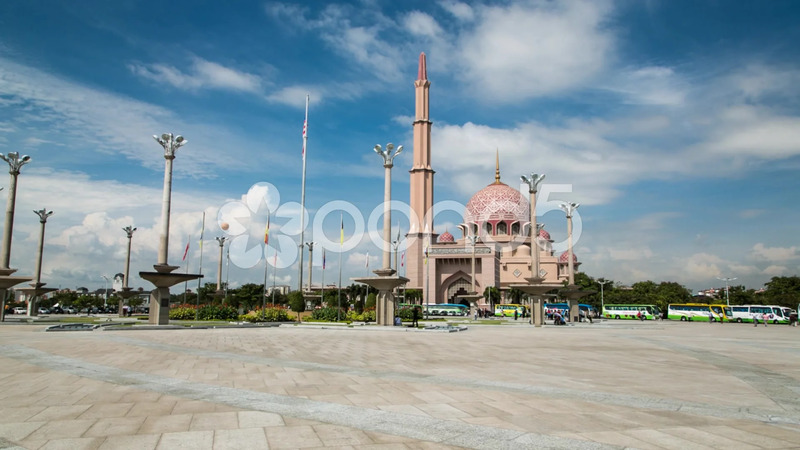 Description: A motion timelapse of Putra Mosque in Putrajaya, Malaysia. Putrajaya is the federal administrative center of Malaysia. Several waving flags, tourists, buses, vehicles and pink domes can be seen as the camera moves. Rapid cloud movements and air balloon are also visible.